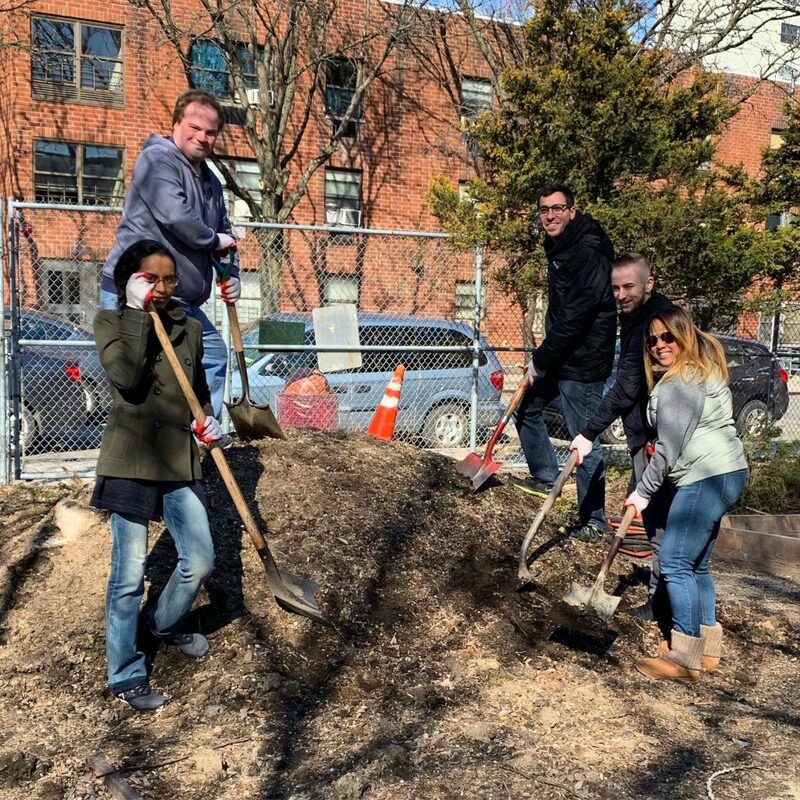 This past Monday, 03/18, the team in New York got together in the Bronx to help work on getting the Wishing Well Community Garden ready for the spring in conjunction with the great folks at GrowNYC. This project was part of our ongoing 1% Pledge to give back to our community. 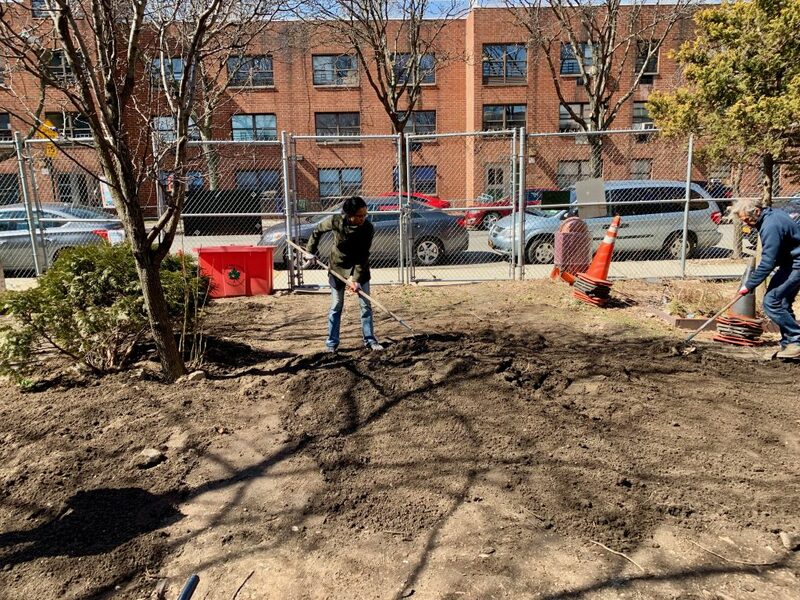 GrowNYC is a fantastic local organization that focuses on environmental issues through working directly in communities to help make them greening and healthier. Founded in 1970 under the name, Council on the Environment of New York City, GrowNYC originally focused on policy issues but over time they have become much more focused on ground level work in communities. 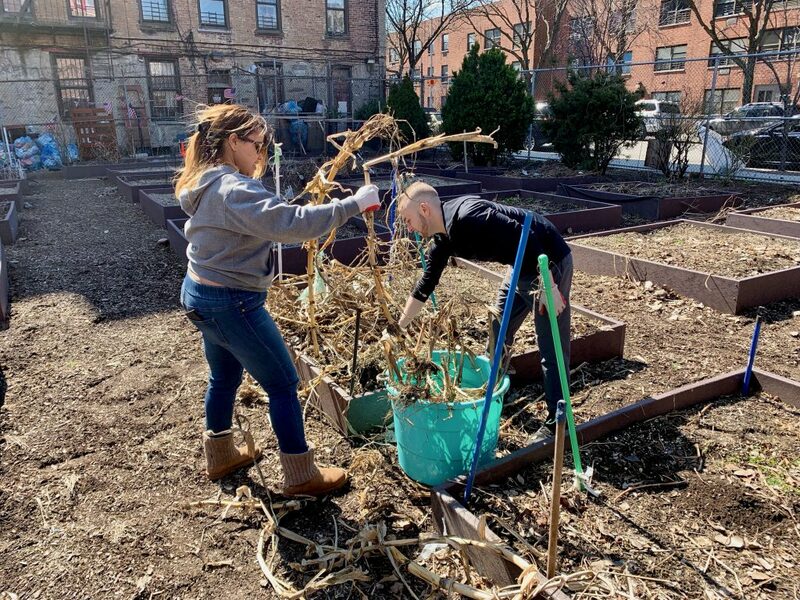 These days they help communities all across New York City through community garden programs, educational programs with children, recycling, and running community farmers markets. 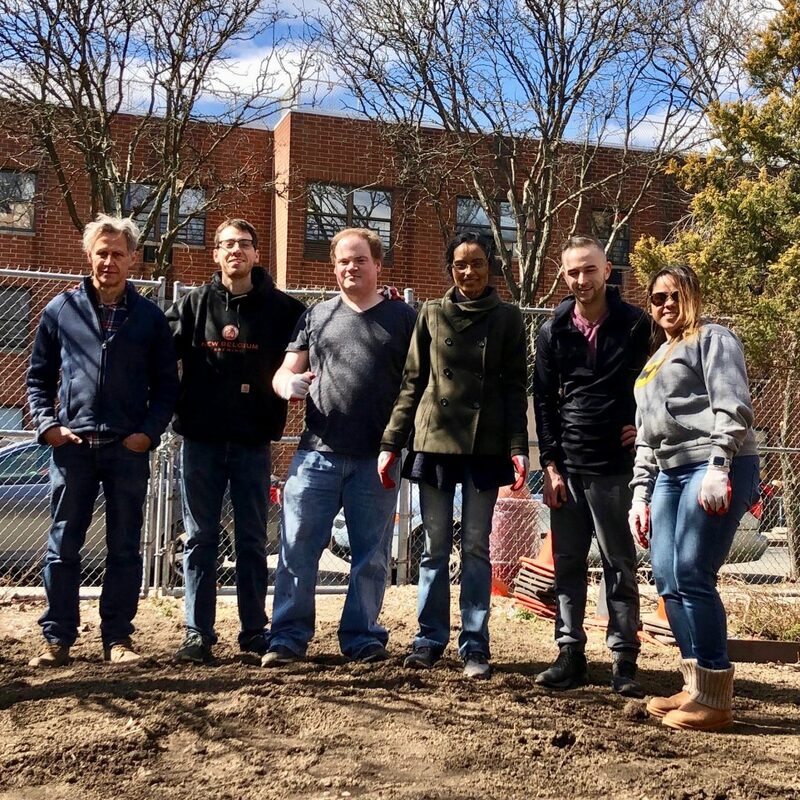 We were thrilled to have the opportunity to work directly with them to help get one of their smaller gardens ready for the spring. 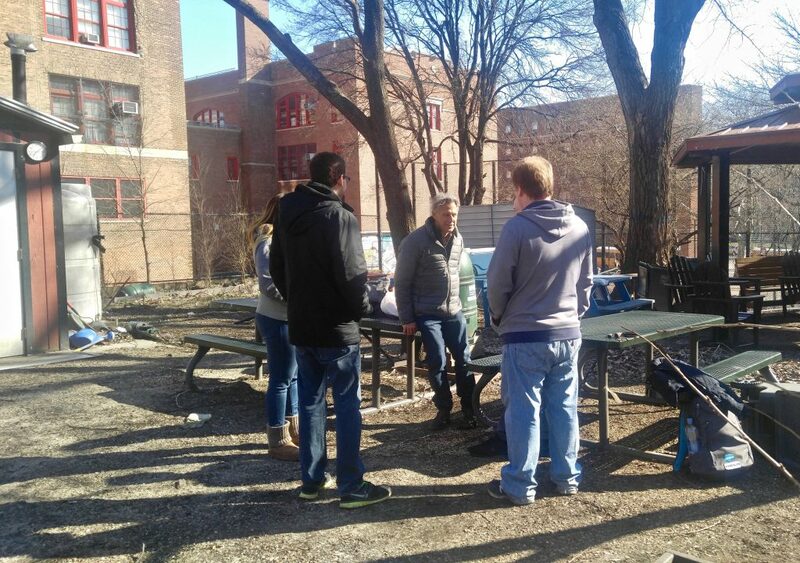 On Monday, we got together and met with David from GrowNYC at the Wishing Well Community Garden in the Bronx. 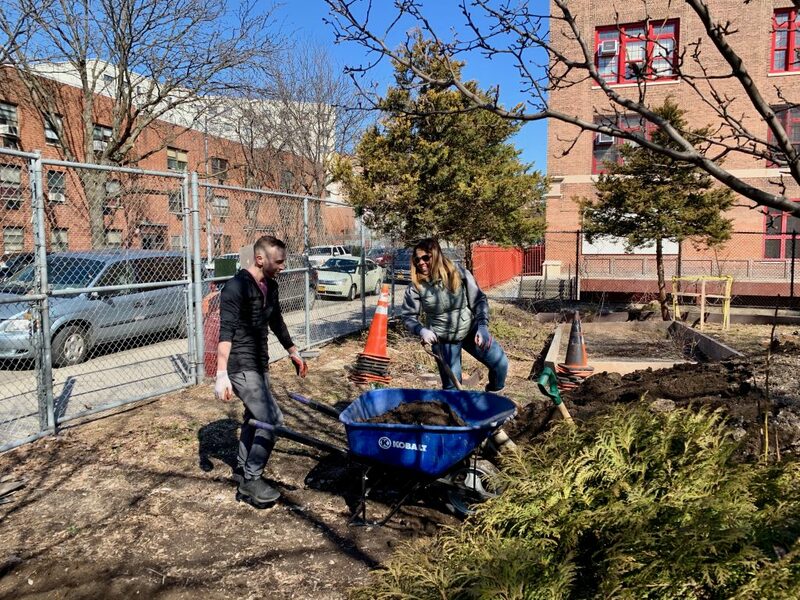 Our goal was to help get everything cleaned up and ready for the local gardeners to come and start planting their gardens once it warms up. It was a great day for everyone on our team. 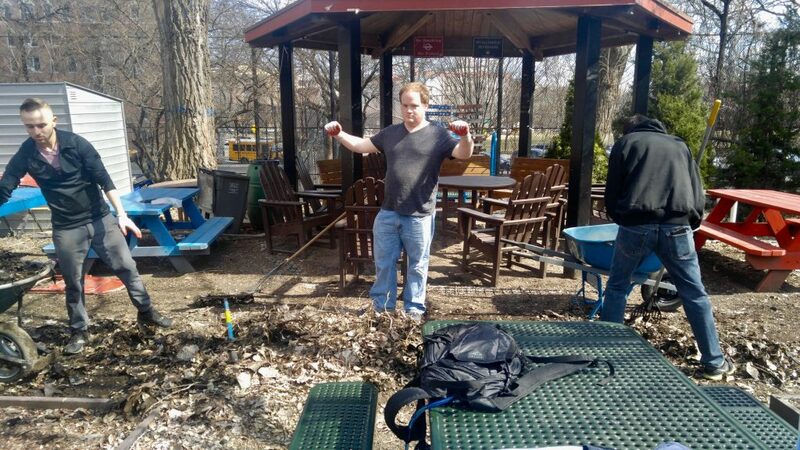 We began with some quick clean up, getting dead plants and garbage out of some of the planting boxes. Once we finished cleaning out the boxes we spent the rest of the morning filling the boxes with fresh soil provided to the garden by the city. It was great to work with our hands and see the results of all our labor as we went along. When we’d finished shoveling dirt it was time to set back to clean up. 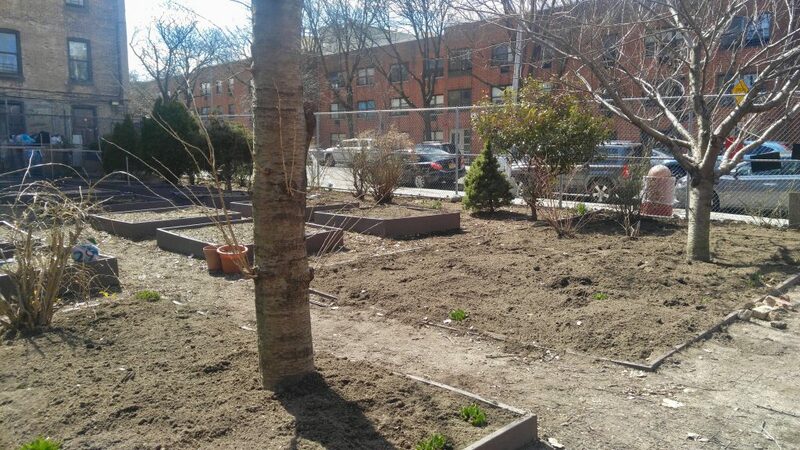 Half of the community garden is dedicated to locals in the community, they can reserve a box and use it to grow plants over the course of the season. 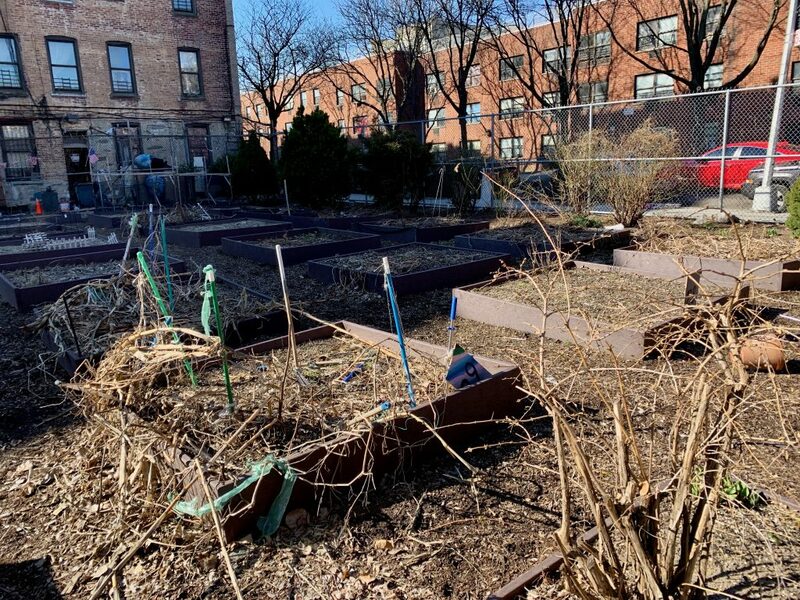 The other half of the garden is used by GrowNYC for educational programs where they teach teens in the community all about growing their own plants and how to eat healthy at the same time. Our host, David, runs the program out of the Wishing Well garden. When we finished filling the boxes we helped him clear out the student area to get it ready for the kids to come in and plant for themselves. This involved a lot of raking up dead leaves for compost and collecting trash that had been scattered around the area. This experience is one that we’re never going to forget. It was a great chance for everyone to get out into the city and feel like we’re having a real impact on the community around us. 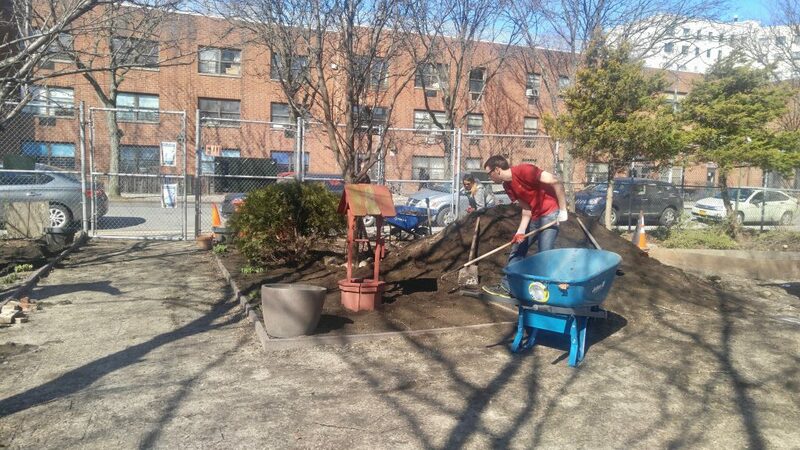 Thanks to the work of our team the Wishing Well Community Garden is well on its way to being ready for the spring. 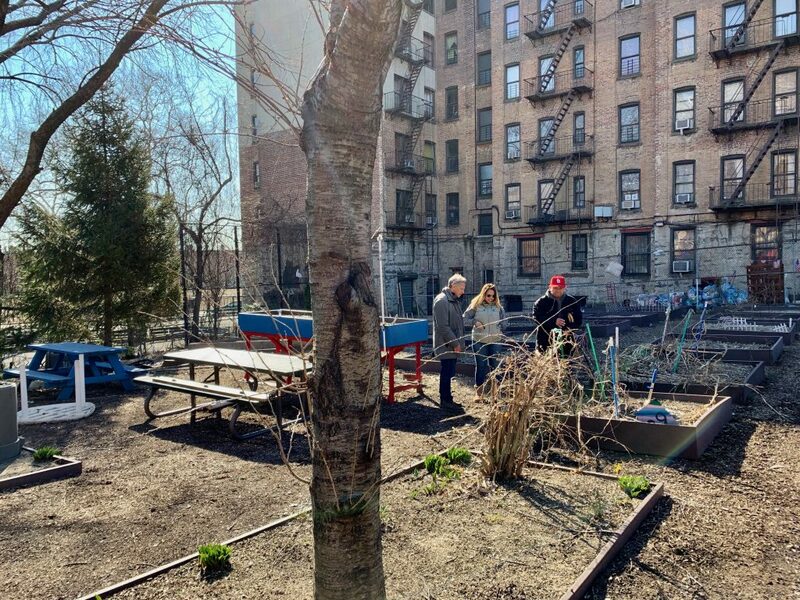 Garden’s like this allow the community to work together and share outside space. It’s a place for people to visit, relax, and get away for a moment. It feels great that we helped in a small way. We all grew through our time together and I know we’re all excited about what we can do next. We’ll definitely be heading back up to Wishing Well sometime this spring to see how far it’s come since we were there.